The sinuous Spanish style of the Madrid Counter Stool by American Heritage will add a subtle romance to any décor. 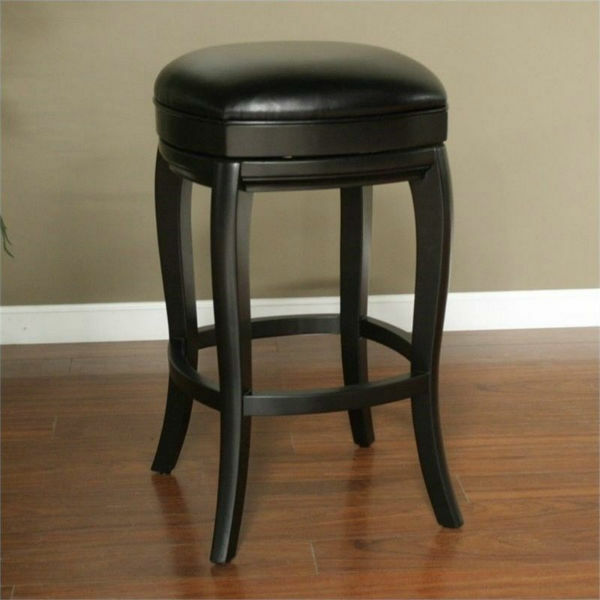 Highlighted by the perfect combination of a sophisticated Black finish and a trendy Charcoal gray leather cushion, everything about this counter height stool is extraordinary. Gracefully curving hardwood legs support a wide, rounded square seat that promises a very comfortable sit. Featuring a smooth swivel action, the Madrid Stool by American Heritage comes with free shipping nationwide from Family Leisure.